Get facts about childhood cancer and their signs and symptoms, as explained by the Children's Cancer Centre at KK Women's and Children's Hospital (KKH). In Singapore, every year about 120 new cases of childhood cancer are diagnosed in children less than 15 years of age. 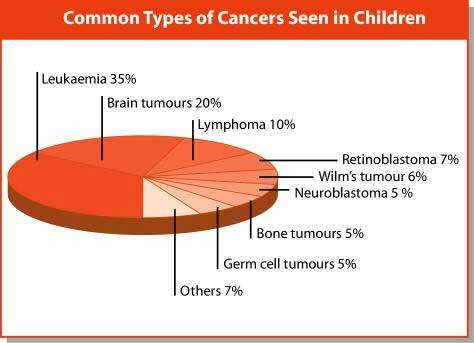 The most common cancers seen in children are given below. 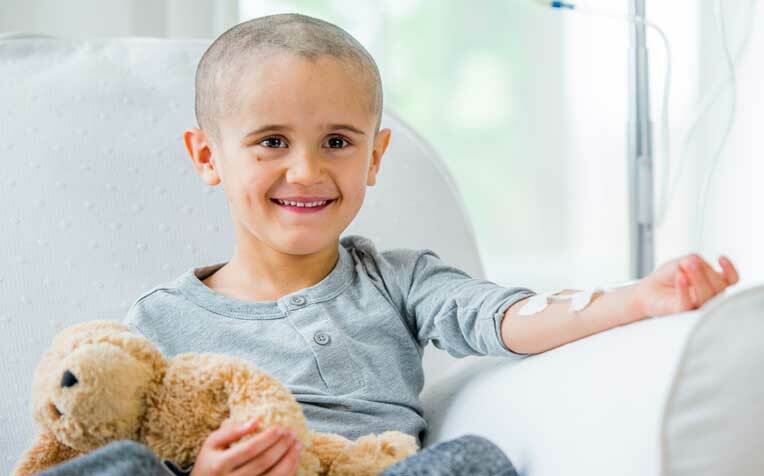 With advances in the understanding of cancer biology, intensive multi-agents' drug therapy and applying state-of-the-art therapy including haemopoietic stem cell transplant, childhood cancers are highly curable today. For common cance​rs, including leukaemia, lymphoma, germ cell tumour and Wilm’s tumour, the cure rates are 80 per cent. According to the ​Chil​dren's Cancer Centre at KK Women's and Children's Hospital​, brain and bone cancers are moderately curable at 60 per cent. Although some children may have genetic conditions that predispose them to developing tumours, the exact causes of cancer in the majority of children are unknown. It is also important to remember that cancer is not contagious. Leukaemia occurs when the bone marrow produces abnormal numbers of immature white blood cells called blast cells. As so many abnormal cells are being produced, the marrow cannot make enough normal white blood cells to fight infection, or red blood cells to carry oxygen or platelets that help in clotting. As a result, the symptoms of leukaemia include recurrent fever, loss of energy and appetite, pallor and easy bruising. ​The symptoms will vary depending on the location of the tumour and the age of the child. In a young baby, the head may rapidly increase in size. Older children may have headaches, vomiting and drowsiness due to increased pressure on the brain by the growing tumour. The child may develop weakness, unsteadiness when walking, clumsiness, double vision and squinting if certain parts of the brain are affected by the tumour. These are tumours that start in the lymph glands. The symptoms include swelling in the neck, armpit, groin, chest and abdomen, all regions where the lymph glands are located. There may also be recurrent fever, pallor and loss of weight and appetite. This is a cancer of the eye and usually occurs in very young children under two years of age. The child may present with squinting or a white mass seen through the lens of the eye. This is a cancer occurring in the kidney. The child usually presents with a swelling in the abdomen which may be painful. Occasionally, the child may pass blood in the urine. ​Croup: Does Your Child Have a Harsh, Barking Cough? ​​Pregnancy: Are X-rays and Computers Safe?